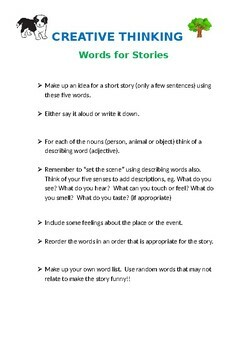 This activity sheet helps children who have difficulty thinking of stories to write. They are given five words that they can use to stimulate story ideas. 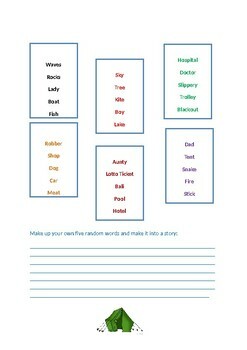 Children can then think of describing words to add to their stories based on these words.